The faculty has received sad news about the death of Professor Emeritus Paavo Komi, 78, on 10 October 2018. Professor Komi was a professor at the Faculty of Sport and Health Sciences at the University of Jyväskylä from 1980 to 2004. 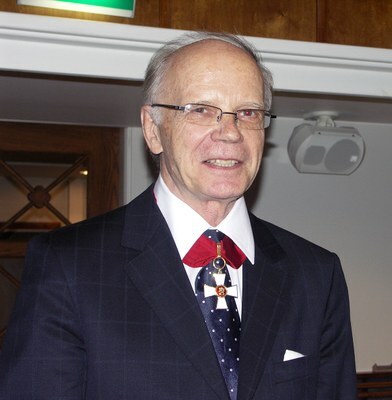 He influenced the development of biology of physical activity in Finland and led the process of connecting research in Finland to the international research community. Professor Komi also played an important role in the establishment of the Department of Biology of Physical Activity. Until recent years, he was invited to speak at various international scientific congresses. During his career, Professor Komi was awarded seven honorary doctorates from universities all over the world. In 2001, he received the Olympic Order Award from the International Olympic Committee. He was later, in 2013, awarded the gold Cross of Merit of Finnish Sports by the Finnish Ministry of Education and Culture as well as honorary membership in the Finnish Society of Sport Sciences. Professor Komi was a founding member of the European College of Sport Science (ECSS) and served as the president of the organisation from 1995 to 1999. Thanks to Komi, the ECSS congress was held two times in Jyväskylä, in 2000 and 2007. Komi was also a member of the Sport for All commission of the International Olympic Committee from 2000, and he served as president of the Sport for All congress in Jyväskylä in 2010. He was the president of International Council of Sport Science and Physical Education (ICSSPE) 1991–1996 and the president (1981–1985) and a honorary member (from 2005) of the International Society of Biomechanics. Our faculty would like to extend condolences to Professor Komi’s family and express our appreciation for his long career in promoting research in sport sciences.